Firstly, we went over to Wales near Caernarfon to see a friend that we haven't seen for far too long. Wales was very nice, there was tunnels to drive through which my son loved, although he wasn't quite so keen on the time when, feeling a sneeze coming on whilst on the motorway (in the passenger seat) I quickly decided to take advantage of the open window to release the sneeze, and instead of the offending material being ejected out into nature, it blew back through the rear passenger window and onto my sons head! 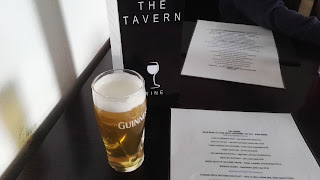 We also got lost trying to find the Travelodge hotel on the evening - I think we got right up close to it, and at the last moment took a wrong turning which resulted in us driving around in circles for an hour, fuel tank getting ever lower! We did eventually find the Travelodge, and have a decent nights sleep, after relocating my son, who on entering the Travelodge skirted past the single bed, settled himself in the big double bed, and asked "Where's daddy going to sleep?!?" 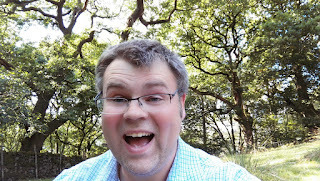 The following day we drove up to Knowsley Safari Park. 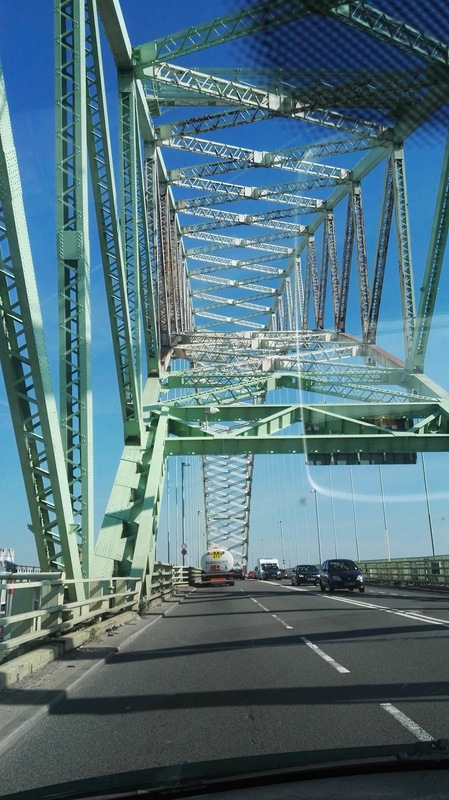 I was particularly excited by the bridge that we were going to go over, because the signs up to it just said "THE BRIDGE" - clearly such an impressive bridge that it didn't need a name or anything extraneous like that. 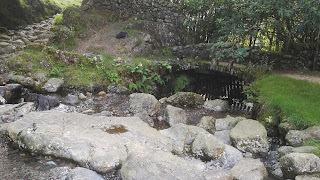 As bridges go, it was alright. 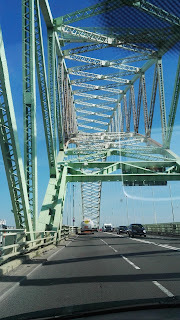 I'd still give the Humber Bridge higher marks through. 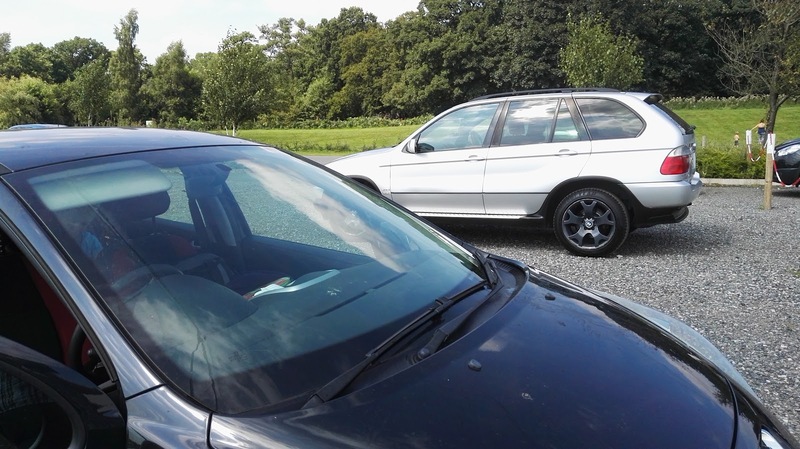 At Knowsley Safari Park you get to drive round a park and look at various animals, like lions, rhinos, elephants, and notably baboons. 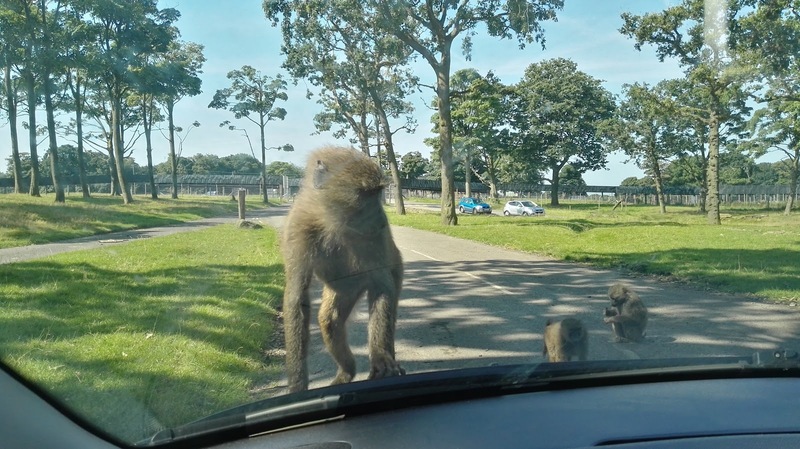 You can drive round as many times as you want, and to be fair there are warnings not to go in the baboon enclosure if you want your car to survive. 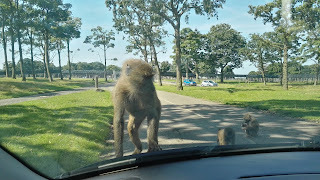 The first time was okay, we had a baboon or two sit on the car, but they didn't show much interest in the car except as a way to get moved around the enclosure. The second time however, we had baboons that were much more interested in taking full advantage of the facilities that a car could offer. So firstly one relieved himself on my window (which was fortunately up - apparently baboons urine is red, by the way) and then two more decided to try to rip out the water sprayers on the bonnet - which they succeeded in doing, and my attempt to spray them with water just encouraged them! Fortunately they held on to the sprayers so when we got to the exit a park warden gave me them back and they were easy enough to put back on. We then spent a few days in and around Morecambe, We did lots of things but for some reason I don't have a lot of photos, there was a good bit of chilling out and endeavouring not to overdo it, taking plenty of rest breaks between naps, that sort of thing. 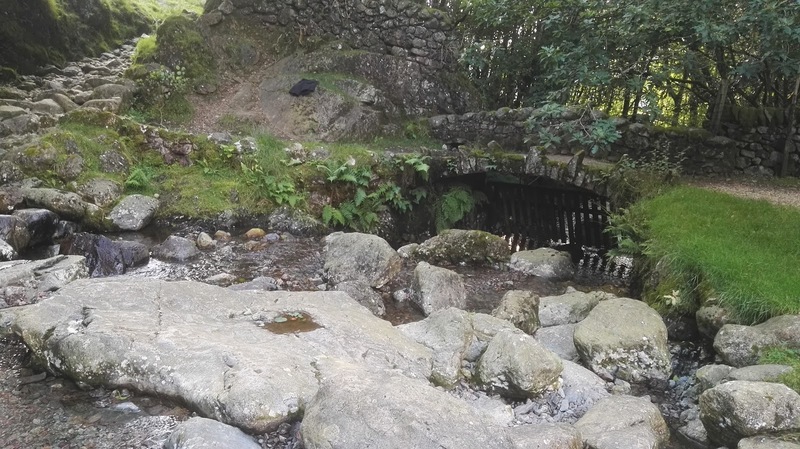 A stream that my son had a great time playing in. 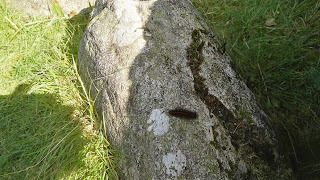 A really hairy caterpillar, or as it is known in Latin, Hairyus Caterpilla. My computer chair, except you can't see it due to the bag and hi vis jacket on it. Plus there's another five hi vis jackets/coats/waistcoats all around it. 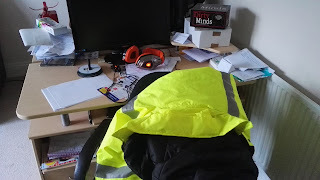 My past self, forced to clear out the car before we went on holiday, had thought "I know, I'll put all of these things on my chair, so that when we get home I'll have to sort them out". Of course, my current self, after swearing at the decision I'd made, picked them all up and lobbed them back in the boot of my car where they can sit for another 6-12 months.